Everyone knows the sensation Vijay Devaraknda, Shalini Pandey’s Arjun Reddy created in Tollywood. Now Sandeep Reddy Vanga, the original director, is directing Arjun Reddy remake in Hindi. The film titled Kabir Singh starring Shahid Kapoor and Kiara Advani is making waves across the country. Sandeep Reddy Vanga himself claimed that he is turning the film even bolder in the Hindi version. He revealed that he toned down the boldness in Telugu for the fear of facing censorship. The makers released the teaser of Kabir Singh and it is leaving all shell-shocked, so much so that even Young Rebel Star Prabhas got knocked down by Kabir Singh. Noted hairstylist Aalim Hakim revealed that he showed the teaser to Prabhas who got so excited that he wished to speak to Shahid Kapoor. Hakim said, “I was in Hyderabad shooting for Saaho with Prabhas, and the teaser of Kabir Singh had just launched online. Prabhas checked it out and loved it. Even his team members, who have enjoyed Arjun Reddy, felt that Shahid looked brilliant. Seeing Prabhas’ reaction to the promo, I called up Shahid and handed him the phone. The former praised him and said that Kabir Singh looked even better than the original. Both of them chatted for a good seven odd minutes”. 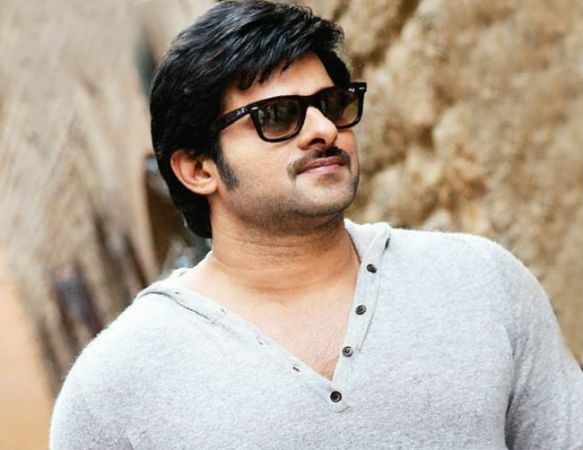 Prabhas who created a sensation with Baahubali with his stellar performance is now starring in his upcoming entertainers Saaho and Jaan. Super Star To Give Big Shock To Fans!